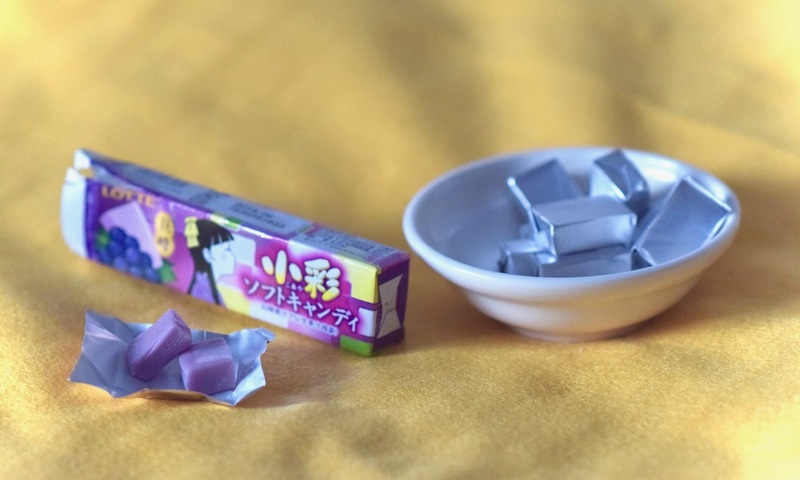 Contains 10 individually wrapped pieces of Kyoho-grape flavored chewy candy. Kyoho means "giant mountain grape". 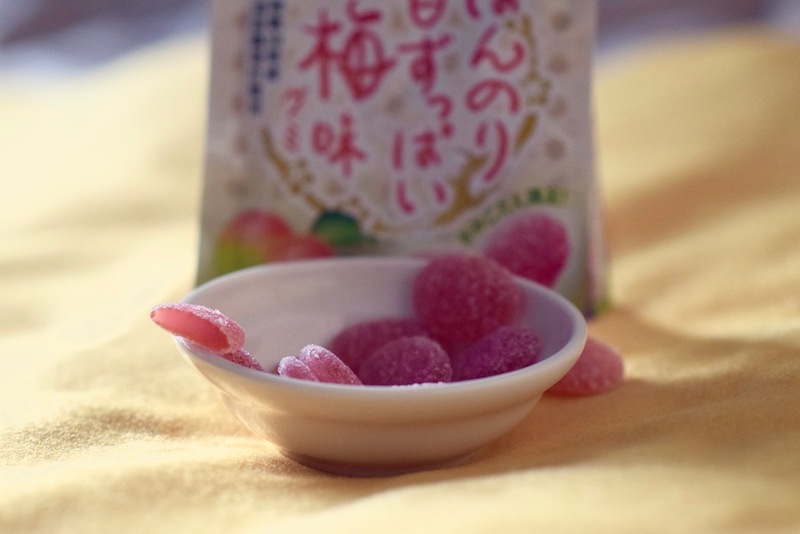 They are large, sweet, easily peelable grapes that are popular in Japan, also often used for cocktail (chuuhai) flavoring as well. These sweet & sour gummies have lots of collagen giving them their firmness. 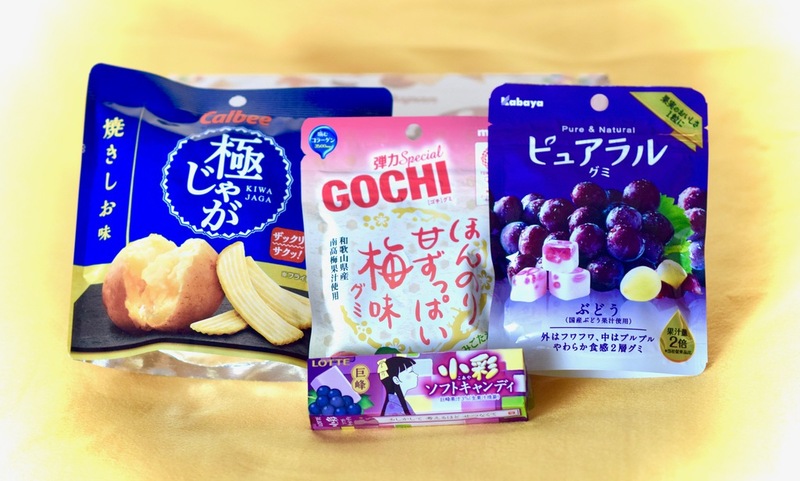 Flavored with Nanko-ume, which are high grade plums made in Wakayama prefecture. 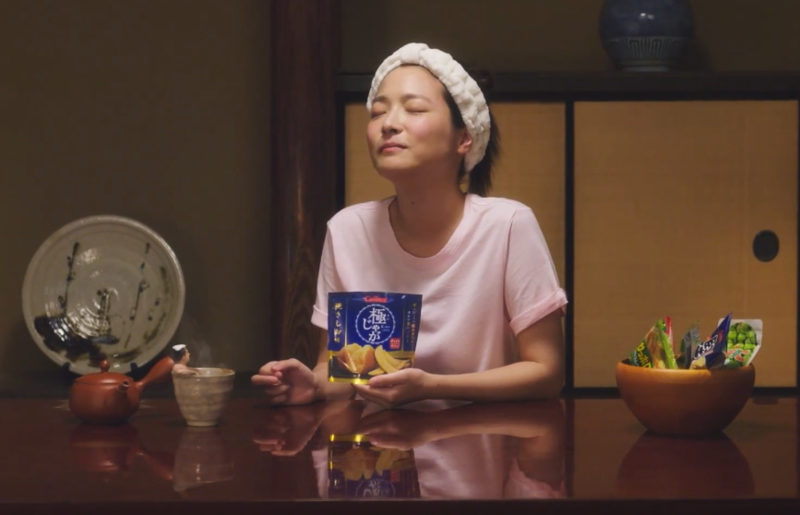 Japan National Tourism Organization says "you cannot talk about the essence of Japanese ume without trying the Nanko ume in Wakayama Prefecture ", so that's one item off your bucket list. The official ads have exercise instructions encouraging you to alternate between eating them on the left, middle and right sides of your mouth. 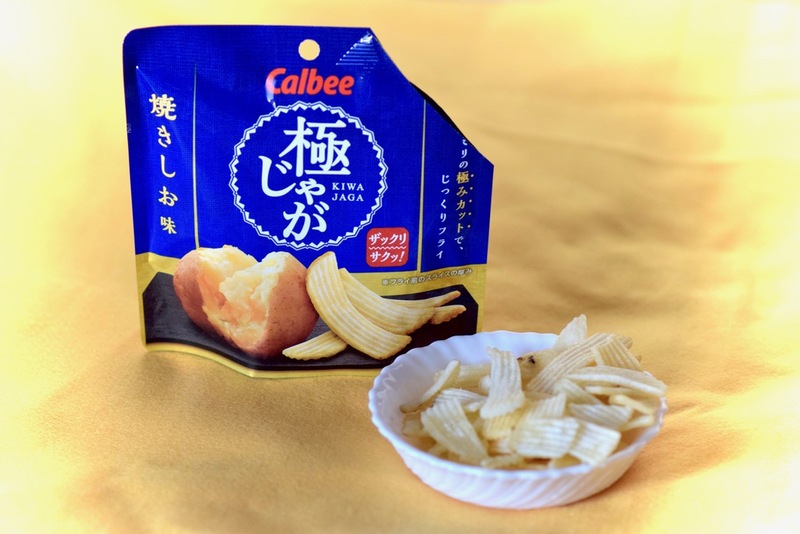 3.5mm "extreme cut" baked salt chips using Hokkaido potatoes. 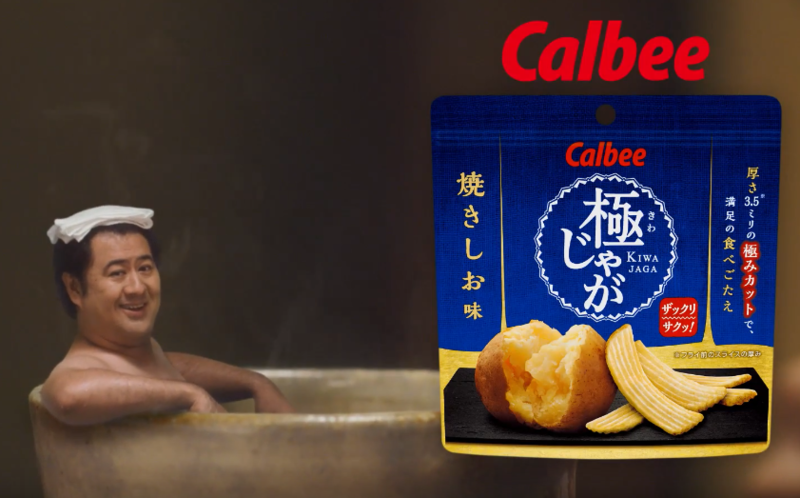 Notice anything strange about this Kiwa Jaga ad? Yes, there's a guy taking a bath in her tea cup. Full ad here. 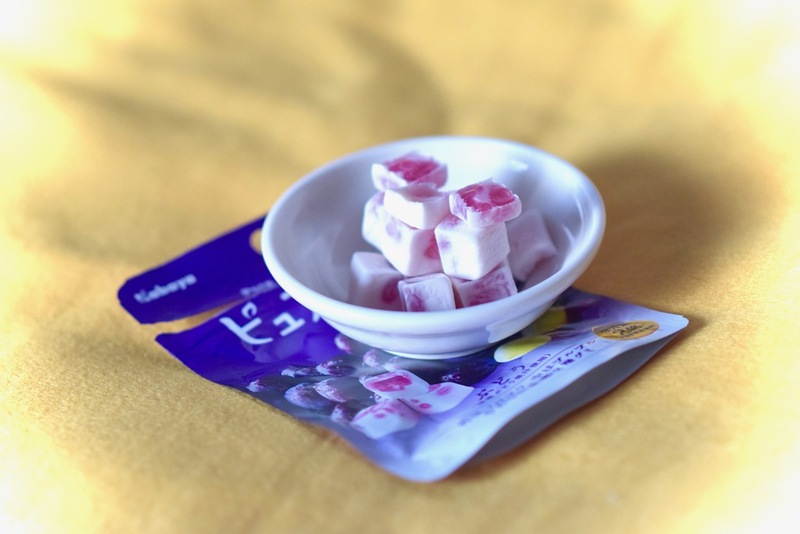 Each piece is a combination of two different consistencies of gummy: spongy and firm. The taste comes from quintuple-concentrated Japanese grape juice.